I’ve seen this one a few times, but only for a second out of the corner of my eye as it skitters away into the bushes and dry leaves. 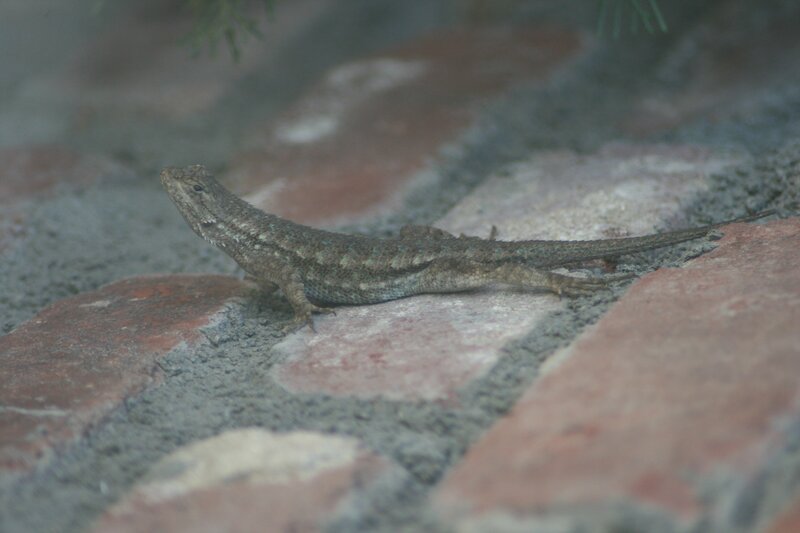 I’m clueless about if it’s a “he” or a “she” – “California Alligator Lizard” is all I know. Anyone have any knowledge that they would like to share? 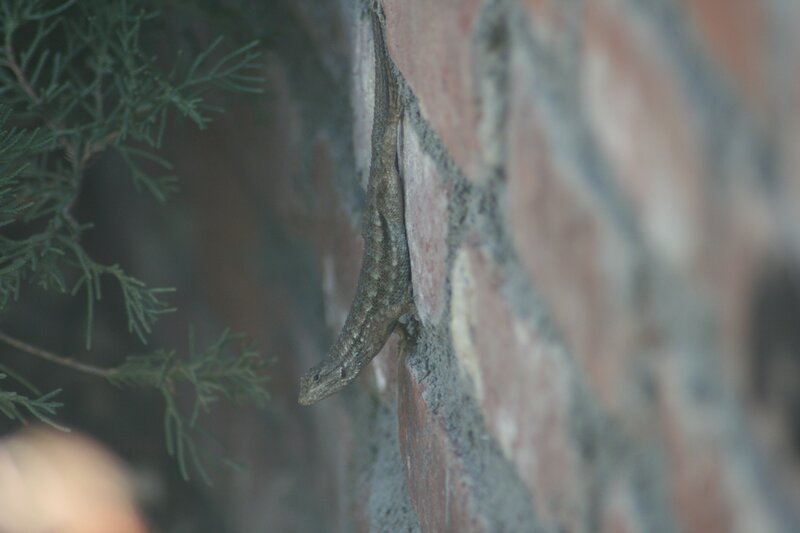 OK, this is rotated – it really was hanging head down on the wall. But this picture looks much better like this for whatever reason. 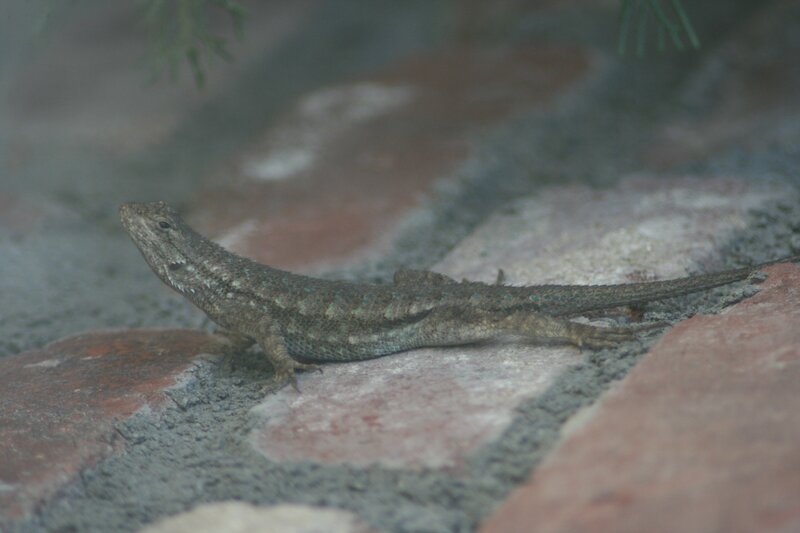 What I really noticed is the spots and speckles and coloration! Being back in the shade on a bright, sunny day I couldn’t see any of this detail on its skin. It’s beautiful!